KIGALI, Mar 28 2014 (IPS) - It’s almost 20 years now since Sylidio Gashirabake, a Hutu, was a perpetrator in Rwanda’s genocide. It’s also almost 20 years since his neighbour, Augustin Kabogo, a Tutsi, lost his sister and family in the violence. But today, both men work side-by-side in their joint business venture in Kirehe district in southeastern Rwanda. It is estimated that 800,000 minority Tutsis and moderate Hutus lost their lives in the massacre that began following the death of former President Juvenal Habyarimana, and his Burundian counterpart Cyprien Ntaryamira, when their plane was shot down over Kigali on Apr. 6, 1994. Gashirabake was released from prison in 2006 after confessing two years earlier to his crimes and revealing to Kabogo — who managed to escape the killing by hiding in a neighbouring marshland — where the remains of his family where. Though Gashirabake has always denied having any part in the death of Kabogo’s family. “I have deliberately [confessed] so to ease my conscience from this burden, which I am unable to continue bearing after several years,” Gashirabake told IPS. Two years ago, Kabogo forgave Gashirabake and the neighbours have been business partners ever since. 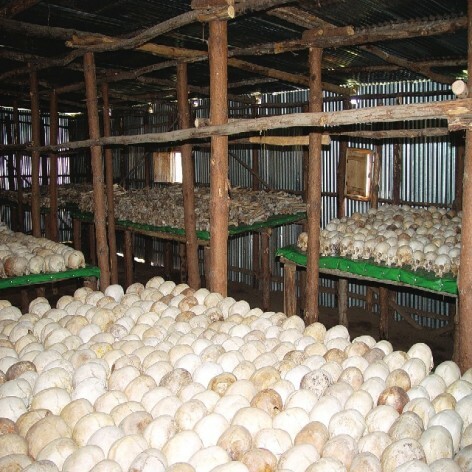 They are part of a group of 30 people involved in a swine breeding project in Kirehe district that was founded by a Japanese volunteer in 2012 and aims to reconcile victims and perpetrators of Rwanda’s genocide. And both Gashirabake and Kabogo are convinced that in order for them to be successful, it is imperative that reconciliation in Rwanda becomes a reality. Right now, they earn around 200 dollars per month on average from the business. Kabogo is convinced that it is no longer important whether Gashirabake killed his family or not. What is important, he says, is that Gashirabake has apologised for the crimes he committed. “I must agree that reconciliation through poverty reduction is slowly becoming a reality 20 years after [the genocide] in Rwanda,” Kabogo told IPS. Across the 30 districts of this central African nation there are several projects, supported by both the government and NGOs, which focus on reducing poverty. This includes the government-funded Girinka (“May you have a cow” ) project. Founded in 2006, Girinka distributes cows to vulnerable families in remote rural areas. The project states that as of 2013, about 350,000 people have benefitted from the programme. Because almost 90 percent of the population relying on the agriculture sector for their survival, the government has adopted a number of reforms to ensure that poor households and genocide survivors are supported. This includes the establishment of the Government Assistance Fund for Genocide Survivors which, since its creation in 1998, has had a total budget of 117 million dollars to provide education, healthcare packages and housing for vulnerable genocide survivors. Since it took power after defeating the genocidaire regime in July 1994, the former rebel group and current ruling Rwanda Patriotic Front (RPF) has embraced major reforms, including sound economic ones. In a World Bank report entitled “Rwanda: Rebuilding an Equitable Society – Poverty Reduction After the Genocide” showed that approximately 70 percent of the country’s 11.5 million people lived below the poverty line in 1993. Four years later, this was reduced to 53 percent. Latest figures published in the government’s third Integrated Household Living Conditions Survey 2011 show that between 2006 and 2011 a further one million people were lifted out of poverty. And Rwanda has been lauded by its development partners, the World Bank, European Union, and the International Monetary Fund, for these economic achievements and successful reforms. However, there is an emerging consensus that challenges to the country’s economic growth and development remain. Pascal Nshizirungu, a lecturer in socio-economic sciences at Kigali University, told IPS that national efforts to mobilise investment should also go hand-in-hand with closing the gap between rich and poor. The government, through the second phase of its Economic Development and Poverty Reduction Strategy, is investing in key development areas in order to have Rwanda reclassified as a middle income country by 2020, with a per capita income of 1,240 dollars. Currently the per capita income of Rwanda’s middle class is estimated to be 693 dollars. The government has also been targeting foreign investment and creating incentives for investors, such as privatisation. 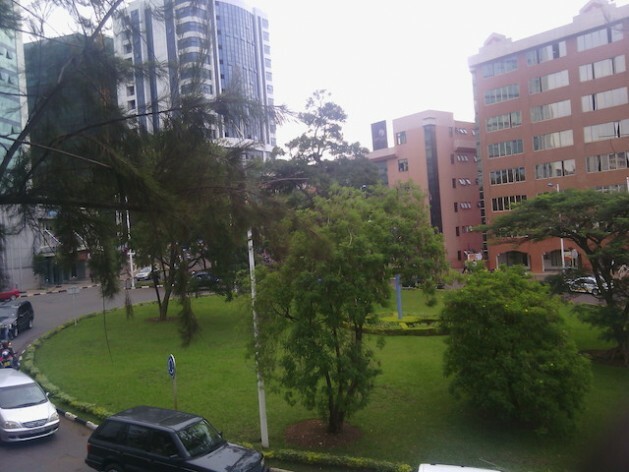 “Apart from political stability, the country has now an asset which other countries in the region don’t have such as infrastructure, which is attracting much more private investments,” Robert Mathu, executive director of the Rwanda’s Capital Market Authority, a government regulatory body for all stock market operations, told IPS. “The country is looking to boost national growth and create a climate that encourages the involvement of the private sector,” Mathu said. 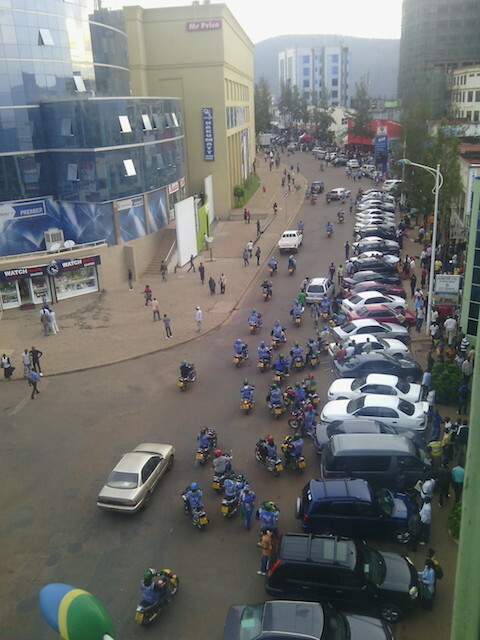 Rwanda’s economic growth was 4.6 percent in 2013. “We believe that by having strong partners in the private sector, we will reduce poverty and agriculture…also it can contribute to the economic growth at the same time,” Rwandan Minister of Finance and Economic Planning Claver Gatete told IPS. Atul Ajela, the general manager of Dodoma, a new mattress manufacturer that invested in Rwanda two years ago, believes that 20 years after the genocide, Rwanda is now a safe, and the best, place to start a business. “Rwanda has a clear business environment which is providing incentives and facilities that is making our job easy to cover other neighbouring countries,” Ajela told IPS.